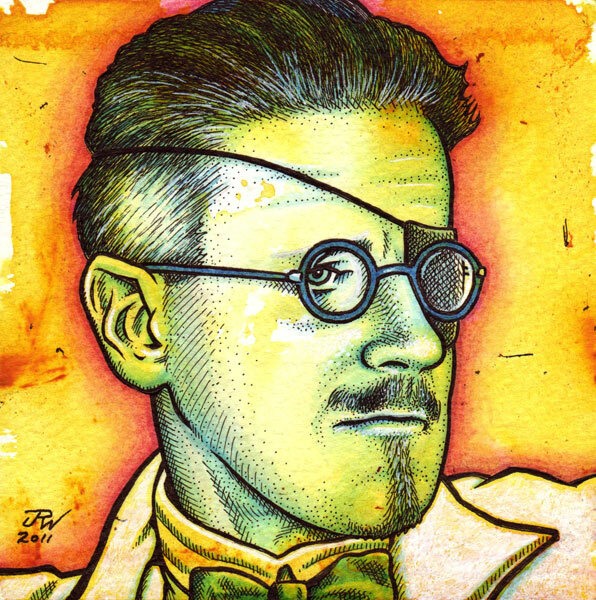 Author of ULYSSES, FINNEGANS WAKE, PORTRAIT OF THE ARTIST AS A YOUNG MAN, etc. Acrylic & inks on archival 140 lb. watercolor paper, 5" x 5". I accept PayPal.